Launch of SISWP President's Appeal: “SOROPTIMIST MAKMUR INDONESIA” TSUNAMI & EARTHQUAKES APPEAL. SI Hong Kong Club Revival - Welcome to the 2019 SI Hong Kong Club Management Team! On Monday 15 April 2019 we officially revived SI Hong Kong. Here is the new Management team of SI Hong Kong Club who were inducted at a special Induction Ceremony and Handover Dinner. SISWP Federation President Anusha Santhirasthipam writes about her recent attendance at the SI Malaysia 13th Biennial Conference of Clubs at Cherengin Hills Convention & Spa Resort in Janda Baik, Malaysia. SISWP Federation President Anusha Santhirasthipam writes about her recent attendance at the SI of Aotearoa NZ Conference in Wellington New Zealand. SI New Zealand Conference theme was "Women Flying High" with inspiring Keynote speeches from Renee Graham, CEO of the Ministry of Women Affairs and Mary O'Reagan Founder of the same Ministry. Read a recent report from Isla Winarto, Project Director on the progress on the Indonesia Earthquake Recovery through Water, Shelter and Capacity Building Project in Rembitan, Lombok. Progress Made in Indonesia with funding from SISWP President’s Special Appeal Soroptimist Makmur Tsunami & Earthquake Appeal, Indonesia. Read a recent report from Isla Winarto, Project Director for Lombok on the completion of Water Piping Works Project at Gangga Village North Lombok by the village women! Nominations are now invited for the position of Federation President Elect 2020-2022. 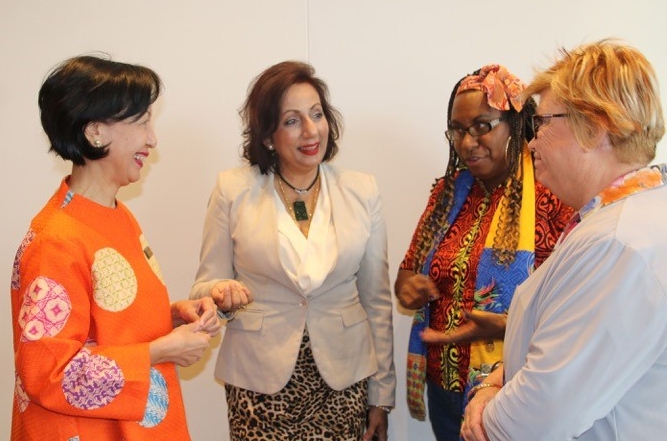 Soroptimist International is a global movement of women, with members belonging to more than 3,000 clubs in 126 countries/territories, spread over 4 federations. Members of Clubs represent a wide range of occupations, talents and interests. The theme "Soroptimists - Educate to Lead" with a focus to Education, Enable and Empower provides opportunities for members to improve the lives of women and girls world wide.